Zentabox recharges the supplements industry by introducing a smart tool to guide users on health profiling and needs. 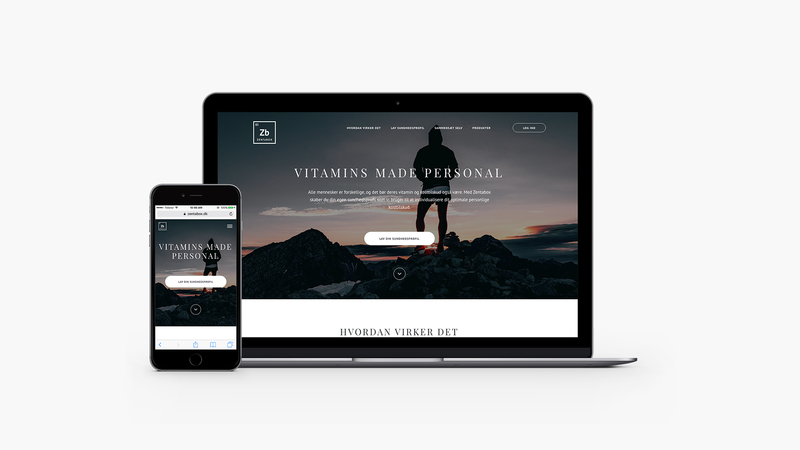 The subscription model has broken records, but would it work for the vitamins market? Only if it could be made truly personal, according to Zentabox. With 30-40 questions, Zentabox learns about your current condition, recommends exactly what vitamins you need and ships them to you on a monthly basis. The seductive marketing page, the subscription engine, the simple account area. All of these were classic challenges and therefore perfectly solvable. 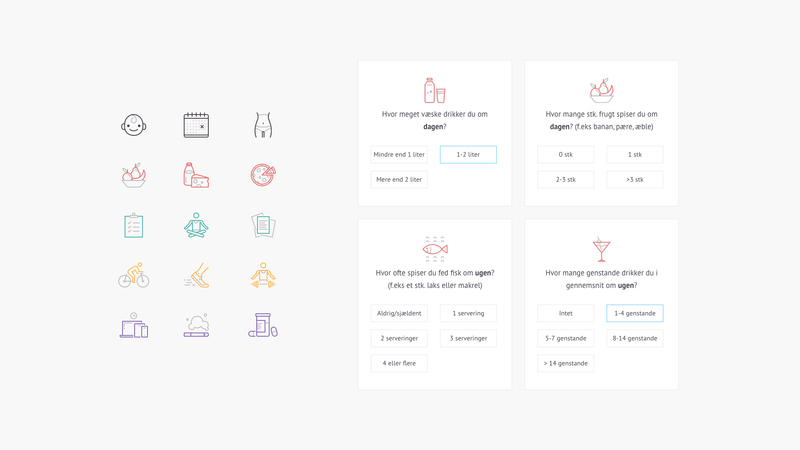 The tough challenge was how to convince users to invest 5 minutes of their precious time on sharing their intimate health details with a relatively new brand representing a new vitamin distribution model. And next up, ensuring that the resulting health profile is balanced and accurate. Following careful iterations on the UX, the visual direction was established in close collaboration with the Zentabox team and UI production was then rolled out onto each and every element, interaction and detail. The algorithm-based health profiling was a "piece of work", requiring sensitive fine-tuning and user testing to get it right. Below the hood, a custom Symfony-based CMS constitutes the engine, handles the billing and exists as the daily work tool for the Zentabox team. Denmark is the first market for Zentabox, but we've built the platform to scale. While it's still early days following the public market launch, the initial reception has been strong, judging across the cold-to-warm KPI's of traffic, health tests and conversions. As marketing initiatives kick in, Zentabox is looking at a promising future. 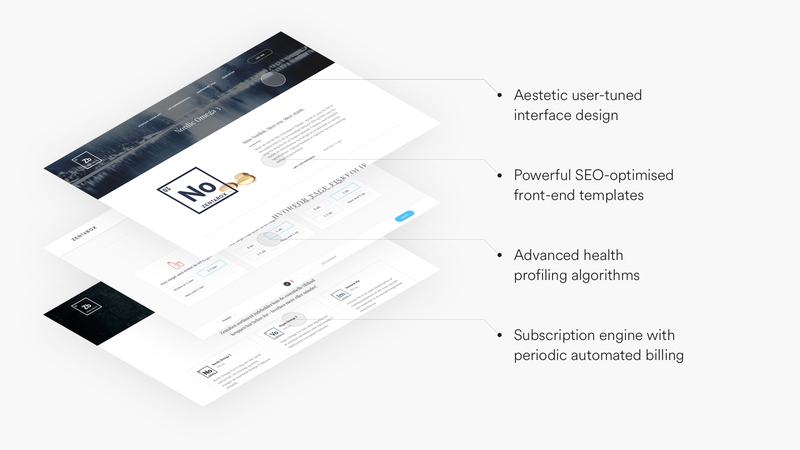 We were looking for a strong digital partner to convey our product vision into the right user flows, aesthetics, profiling tool and commercial engine. Folkmatic achieved this with excellence, always sharp in their consultancy, highly responsive, reliable in overseeing the technical backbone. Simply put, I consider Folkmatic the ideal “extended CTO”.